Shannon Neumann specializes in clinical exercise for cardiac disease, diabetes, pulmonary disease, nutrition and stress management. She serves as an exercise physiologist in cardiopulmonary rehabilitation. Neumann holds a Master of Science in exercise science from Southern Connecticut State University, as well as national certifications from the American College of Sports Medicine, American Heart Association and the Aerobics and Fitness Association of America. Many consumers are drawn to energy drinks to feel effects such as energy boosts, enhanced concentration and increased stamina. There are many brands of energy drinks, including Monster, that provide these desired outcomes. The concern for many health professionals is the impact these drinks are having on the body, particularly the heart. There is a significant increase in heart rate each time these drinks are consumed. Monster comes in different many varieties, such as Lo Carb, XXL and assault. Each of the types have slight differences but the main ingredients remain the same. To provide the desired outcomes for energy, Monster energy drinks are filled with caffeine, taurine and sugar. In an average 8-oz. serving of Monster, there are 27 grams of sugar, 1,000 milligrams of taurine and 80 milligrams of caffeine. There are between two and three servings per container. The heart's electrical system is the controller of your heart rate. In a normal rhythm, each beat starts at the top of the heart at the sinoatrial node, passes through the atrioventrical node and then down into the lower ventricles. This provides blood to the rest of the body. When the body is provided a stimulant, the heart cannot always keep up with the demand, and it may cause an abnormal heartbeat. Consistent stress on the heart makes the heart more susceptible to arrhythmias. Caffeine and taurine have been shown to have effects on the heart's function. 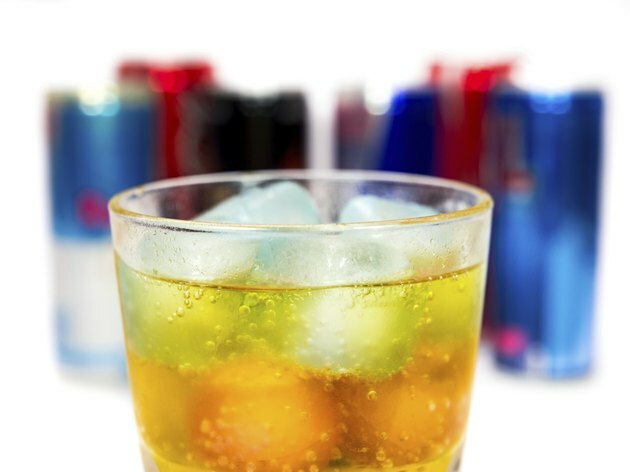 Although each person reacts to energy drinks differently, these ingredients can negatively affect the heart over time. In a study from "Circulation," the average heart rate increases between five and seven beats per minute after consuming energy drinks. The average resting heart rate is between 60 and 100 beats per minute. If your heart rate is consistently above 100 while drinking Monster energy drinks you should discontinue use. Consuming large amounts of caffeine can lead to health conditions such as anxiety, insomnia, digestive issues and high blood pressure. Although there are benefits to Monster energy drinks, they should be consumed in moderation. If you feel any palpitations, heart racing or uncontrollable restlessness, seek medical attention. Never use alcohol while consuming Monster energy drinks. National Heart Lung and Blood Institute: What Is An Arrhythmia? Why Does Coffee Make My Heart Palpitate? How Do Drinks Affect the Heart Rate?